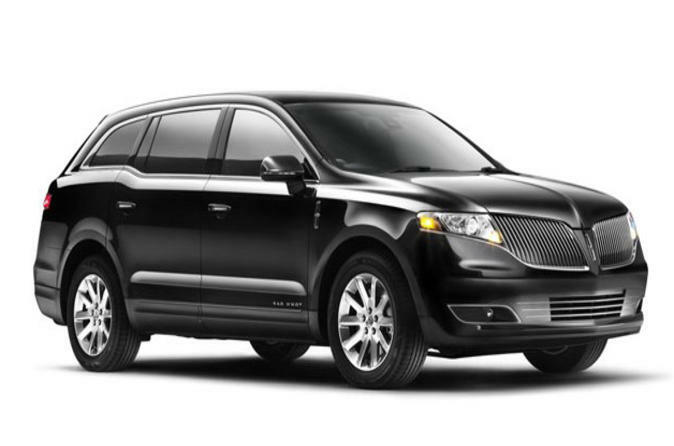 Limo, SUV or new Town Car Sedan transport from LAX Airport to Los Angeles or Hollywood. Providing luxury transport for over 22 years from the family vacation to the Oscars at the best rate. Choose between a one way transfer or pick the round trip option for additional convenience. A curbside pick up is great for the frequent traveler with less luggage or the new Meet and Greet is terrific for a family or guest that would like a little help with their luggage and a personal touch. Both options include our low rate (no hidden charges), meet and greet, printed name signs, Monaco Mints, bottled water, Purell Towellettes, gratuities, and a friendly, professional driver. Please note, we now include free Wifi during your transport, great for our International guests that may not have cell service upon arriving at LAX. One-way or round-trip is available, depending on option selected. Whether it's a ride to LAX, the Oscars, or your daughter's prom in Los Angeles, West Hollywood Limousine has you covered and ordering is easy! Family vacation to Hollywood? You couldn't get a more reliable & friendly staff, we're here to help. Our staff of chauffeurs are prompt, friendly and arrive 5 minutes early to help with luggage. We have no hidden fees, flat rates to the airport. Personalized customer service means we remember if you like fresh air or air conditioning, what radio station you like or none at all. We are the premiere transportation company for individuals, celebrities, families and clients who desire discretion, comfort and stress-free ride through Los Angeles traffic in a luxury, pristine vehicle at a fraction of our competitors (no hidden charges). Bottled water and mints are included in every transport along with Purell Towelletes to refresh your hands after deboarding..
A meet and greet at LAX is our standard option and is offered now for no additional charge. A driver with a printed sign and cart will help you with your luggage inside the terminal.